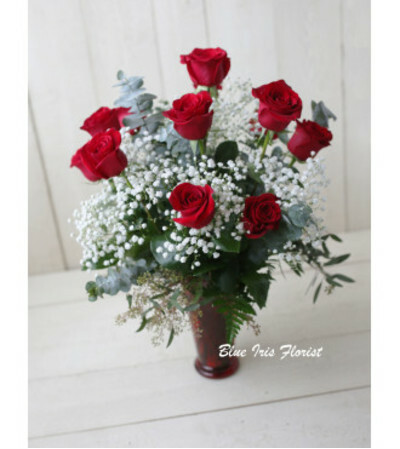 Long-stemmed deep red roses are accented with babies breath for an extra classy touch. 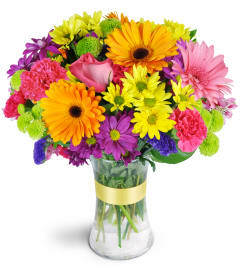 This floral gift is pure perfection. 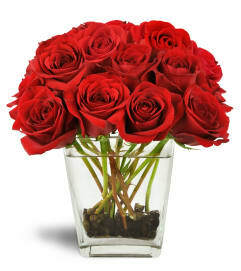 Beautiful long-stemmed roses are arranged with babies breath in a classic tall glass vase for a truly elegant effect.